This summer, I have read several new-to-me authors and as a result, my authors-to-read list has grown. Better than the opposite results, right? 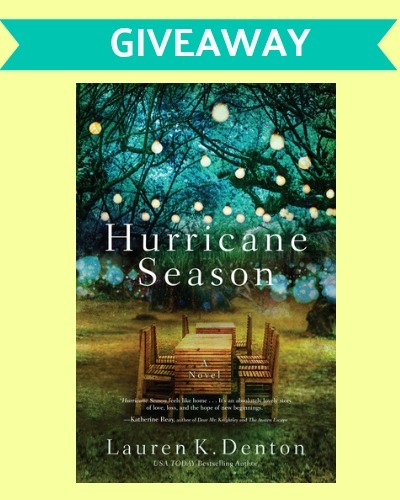 Even though Lauren K. Denton has a few books out, Hurricane Season was my first read of hers. And completely, one hundred percent worth the investment. This is a book about family and giving up/holding onto dreams. Betsy and Jenna are sisters—the first happily married but childless, the latter with two little girls but no husband. 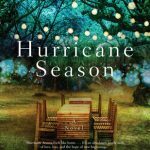 When an opportunity arises for Jenna to spend a couple weeks at an artist retreat to work on her photography she’d all but given up on, she drops her girls off at her sister’s farm in coastal Alabama. As storms form in the ocean, the emotional strain on these two families is as tumultuous. 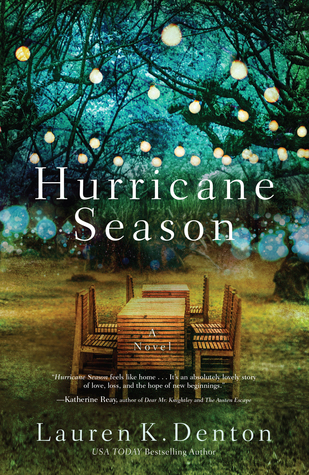 Jenna, Betsy, and Ty (Betsy’s husband) must weather the heartaches, disappointments, and trial in their lives before they uncover and discover truths that have seeded and taken root. Well written with the addition of two precious little girls (three and five) who are as opposite as their mom and aunt, Denton’s story is one I’m thankful I didn’t miss. most active hurricane season in decades. Practical homemaker. Couldn’t pretend to me a free-spirited artist even if I wanted to. I am more of the practical homemaker. I like to always have a Plan A and a Plan B.
Oh yeah, I’m the more practical homemaker type. I’m a good problem solver and use my common sense. Probably the practical homemaker type. I am a more practical homemaker for sure! It would be nice to have a bit more free-spirit artist in me, but alas, it is not there! Practical homemaker I wish I was more of a free spirit. I think I’m a combination. I’m creative and artistic, yet have a sense of practicality.